I write this under the light of a wonderful full moon, it’s a Sagittarius moon in Gemini and brings masses of creative energy but as it’s aligned with Mercury in retrograde we may find ourselves are rather scattered and we really do need to reflect and balance our thoughts and actions during this time. 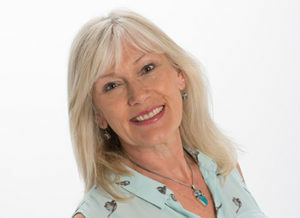 However, I’m certainly not a ‘Master Astrologer’ and urge you to visit a good website like this one which is a current favourite www.mysticmamma.com for more insightful information about these things. Many of us ‘see the light’ and change direction at some time in our life, whether we are aware of our astrological influences or not. For me it meant a complete life change – home, family, relationship and career. It doesn’t have to be as drastic as that. Being fully committed to our integrity and working towards our authentic selves where we pull all aspects of our life together – physical, emotional, intellectual, and spiritual – in harmonious balance – takes a lot of effort. Sometimes this means that we leave some of our old friends, relationships and aspects of our lifestyle behind as we move further along the road. There is often a reason which we don’t understand, and at the time the situation may be challenging, or even painful. But life is a wonderful spiritual journey of discovery… unless you get stuck in a constant play-back of your own ‘story’ of course. On my recent trip to the Holy Land, the organiser referred to us (the group) as ‘Mastered Beings’. Frankly, I’m not so sure about that. 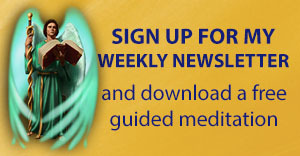 For me a ‘Mastered’ being, in the spiritual context, is someone who has the ability to connect deeply with the Universe – God – the Earth energies – contain this connection in their bodies (all five bodies held within our physical and etheric presence), embody the Light, live a life of coherence and authenticity and love unconditionally. A Master – to me – would have a depth of real Wisdom which has become realised in this lifetime, and is obvious by the way they are with others, not just someone with the ability to perform psychic acts or remember their past lives. Perhaps I’ve got it wrong, but I think that to become a Master we have to have a level of excellence which is indisputable and in my understanding that takes some working at! It isn’t something we can achieve ‘overnight’ but it’s certainly something we may all aspire to. Where do we start on our road to ‘Mastery’? By discovering who we really are, how we arrived at this place, deciding whether we need to make any adjustments, and then where we go want from here in order to serve the higher purpose. It is quite a trek! But you don’t have to do it on your own! There are lots of groups and classes you might like to join, and wonderful, trained, experienced teachers ready and willing to help (always make sure you check out the value of their qualifications and that the teacher feels right for you first, and that you understand their methods). 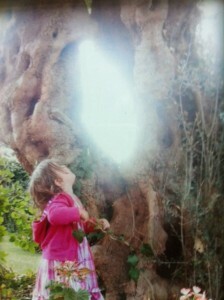 In the meantime, I share with you a lovely photograph of my own granddaughter ‘seeing the light’ when she was two years old on a trip to visit her Chilean side of the family. She tells me (aged six) that this is her angel – what do you think?